Famous Swedish cartoonist Lars Vilks, known for his controversial drawings of the Prophet Muhammad, told RT that he fears for the freedom of publications to print what they want, following the deadly shooting in Paris that killed 12 people. Vilks met Stephane Charbonnier, the editor of Charlie Hebdo, just months ago. The Swedish cartoonist shot to prominence in 2007 after he drew a cartoon with a head of Prophet Mohammed with a body of a dog. His works were due to have been displayed at a local gallery, but the exhibition was canceled because of security concerns. The 68 year-old has faced death threats, while he was punched during a lecture he gave in 2010. He believes that an exception shouldn’t be made for Islam, when all other religions have accepted that cartoons can poke fun at them. Following the shootings in the French capital, Vilks said that he had been offered extra protection. "Yes, they have strengthened protection around me. They have taken different measures," Vilks told Reuters, without giving further details. RT: What is your response to this event, which has seen several cartoonists tragically killed? 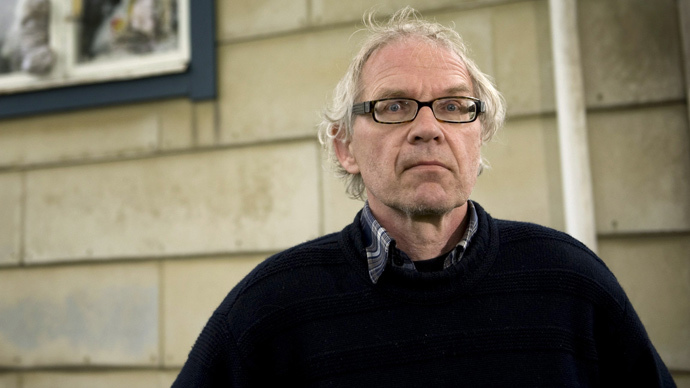 Lars Vilks: For me this is very personal because I have just heard that the editor has been shot and I met him because he was a prize winner. There is a prize in my name that is called the Golden Dog for Freedom of Expression and he received that in Copenhagen a few months ago. So I met him and we talked a lot during that time, so it’s really kind of a personal loss. The consequences of this will be that people become more fearful. I have problems when I have lectures or exhibitions as most things are canceled because of fright. This occasion here will make things even worse and people will be very scared after what has happened. This could also cause problems with censorship because who would dare to publish anything after what has happened? RT: Do you think there will be more censorship and will people be more wary of what they publish? LV: The problem is that we already have a very high level of censorship when it comes to Islam and religion and things like that. There have been a few magazines that have tried to keep going as normal and Charlie Hebdo was one of the few ones. This is good for terrorists because they know they can attack one of these few targets. I think a consequence is now there will be even less of these (magazines). RT: There were threats beforehand so do you think more could have been done in terms of security for Charlie Hebdo? I was speaking to Biard (Charlie Hebdo’s editor in chief) and he was telling me we have a few policemen nowadays moving around the area and everything was very calm. But this is the point, you never know how many people you need. When something happens, it will always be a surprise. This is the problem. You really need a whole army to guarantee security. Years and years can go and nothing happens and when it strikes, it strikes. RT: You spoke to the editor recently. Did he ever fear for his safety? LV: No, no. This was not the case. He was very humorous and was feeling very secure.